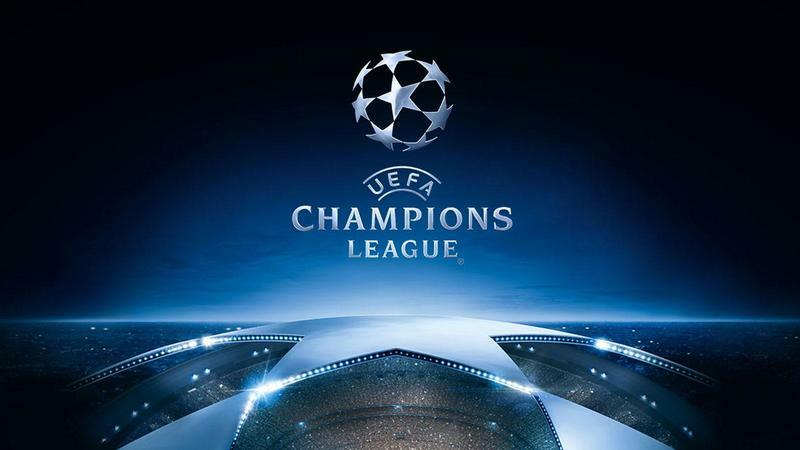 The UEFA Champions League week 1 had everything right from ecstasy to agony, from wonder strikes to wild moments on and off the field, from emphatic victories to major shocks etc. A total of 45 goals were scored in the 16 matches played with an average of nearly 3 goals per game. We witnessed Cristiano Ronaldo in tears after receiving marching orders by the referee after he apparently yanked the hair of Valencia’s Jeison Murillo. We also saw French side Lyon pulling off an unlikely upset against the current Premier League holders in Manchester City. Real Madrid resumed business as usual with a winning start to the competition after emphatically trouncing Roma. Nevertheless, there were some stand out individual performances throughout the two match days and based on that we have identified the UEFA Champions League- Team of the week 1. Based on a 4-2-3-1 team formation, we have identified these players as top performers in Week 1 of UEFA Champions League 2018-19 season. 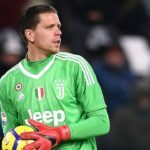 Wojciech Tomasz Szczesny (Goalkeeper,Juventus)- His brilliant goalkeeping reflexes and ball handling attributes kept out Valencia from scoring against Juventus. He made a total of 6 saves and 3 from within the box. He brilliantly saved a last minute injury time penalty kick of Dani Parejo by diving to his right. Daniel Carvajal (Right Back,Real Madrid)- He had a brilliant outing albeit against a average looking Roma attack. His positional sense and understanding with Garesth Bale and Luca Moric was a trea to watch. He won all the 4 tackles he made and also provided with 2 key passes and one crucial clearance. His passing accuracy was an astonishing 92%. Leonardo Bonucci (Centre Back, Juventus) – He alongwith his partner Chiellini dictated play at the back and thwarted attacks of Valencia with ease. He made vital clearances and interceptions throughout the match. His positioning in the match was exemplary. Bonucci’s passing accuracy was a very impressive 97%. 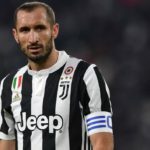 Giorgio Chiellini (Centre Back, Juventus) – His led from the front and thwarted any danger from the opposition in the penalty box. His understanding with Bonucci was fun to watch. He made 10 clearances, 2 vital interceptions and blocked 4 shots throughout the game. His passing accuracy was a creditable 91%. 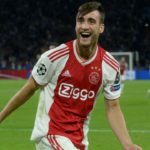 Nicolas Tagliafico (Left Back, Ajax) – The Argentine left back struck twice for his team Ajax against AEK Athens. He was not only solid at his defensive duties but also made numerous marauding runs down the left to attack. His ball distribution and passing was immaculate with 85% pass accuracy. He also made 4 crucial interceptions throughout the match. 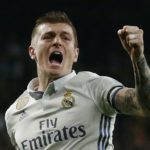 Toni Kroos (Central Defensive Midfielder, Rela Madrid) – The German midfield general dictated play alongside Modric with much dexterity and solidity. His ball distribution and passing was masterly. He made 5 key passes and 4 accurate crosses throughout the match. His passing accuracy was above 95%. 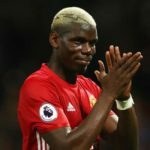 Paul Pogba (Central Defensive Midfielder) – The enigmatic French midfielder had a fine outing against the Swiss side. His first goal, a superb strike into the top right corner, was a treat to watch. He also scored the spot kick with much aplomb. His overall impact in the game was outstanding. He made 3 key passes, 7 long balls and also provided an assist for the third goal scored by Anthony Martial. Nikola Vlasic (Left Winger, CSKA Moscow) – This 20 year old Croat had a superb all round gmae against the Czech side Viktoria Plzen. He made an astounding 7 key passes in the game and was the sole source of creativity in his team. He not only assisted the first goal but also scored the deep injury time penalty to secure a crucial draw for his team. 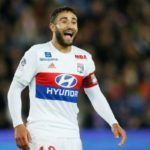 Nabil Fekir (Central Attacking Midfielder, Lyon) – The diminutive French midfielder went past the the opposition defence and midfield with ease. His pace and silky skill was too hot for Manchester City to handle. He not only provided a fine assist to Maxwel Cornet for his first goal but also scored a brilliant individual effort to give an upset victory over the much fancied English side. 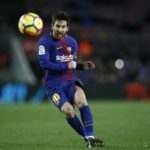 Lionel Messi (Right Winger, Barcelona) – The old magic of the Argentine maestro is back. Scored a sumptuous record breaking hattrick against a hapless Dutch champions PSV . His first goal was from an exquisite curling free kick which PSV goalkeeper Zoet couldn’t do much about. His second goal was a first time finish from a clever Ivan Rakitic chip and the third was a driven finish late-on. 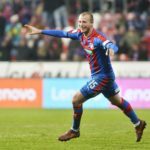 Michael Krmencik (Striker, Viktoria Plzen) – The 25 year old Czech striker scored a brace against a tough CSKA Moscow side. The not so well known striker had a stand out performance upfront. His predatory instinct in the opposition penalty box will give nightmares to his opposition defence. It wont be too improbable to say that he will have a lot of suitors during the upcoming winter transfer window.